¡Teach your kids Spanish DVD system! As a mother of three fully bilingual children, Lydia understands the advantages her children have had in their careers in engineering, information technology and advertising. However, with the birth of her first grandchild, Lydia realized that her children had no resources for teaching her grand-children Spanish. She began searching libraries, local bookstores, the internet as well as reaching out to her contacts in the education field for quality Spanish education programs geared toward children. The search led her to many programs which “entertain” children or serve as nothing more than digital babysitters. Lydia continued searching for a program that is not only engaging for a child, easy to use, and most importantly educational. The major programs available for early language development provide a basic solution for English speaking children. However, there is a lack of quality educational programs that will help parents in their efforts to teach children the Spanish language, along with its rich culture. 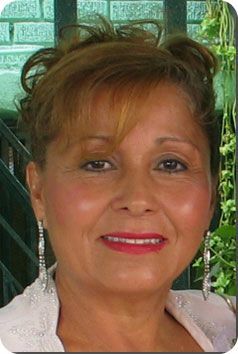 Utilizing her background in education, (Masters in Education from the University of Puerto Rico) she set out to develop a comprehensive program that will help maintain a key element of her grandchildren’s culture, their language. This program collects over 30 years of insight into young children’s learning behaviors and makes it easy for children to live in and play in the Spanish language. This full immersion concept challenges the minds of young children in a fun, relaxed environment and the results are surprising to parents all around the world. But not to Lydia because she knows the power of the brain given to every child and she has dedicated herself to letting the world know just how capable a child’s brain is.. Now, even though Lydia is not physically near her children she can enjoy watching her children learn Spanish along with children from all around the world enjoy the gift of bilingualism.